With simple actions, you can share the searched character by Super Kanji Search with other apps. If the built-in character in Android covers the searched character by Super Kanji Search, you can input the character into Super Kanji Search as the search key and the other Android apps by "copy" and "paste". 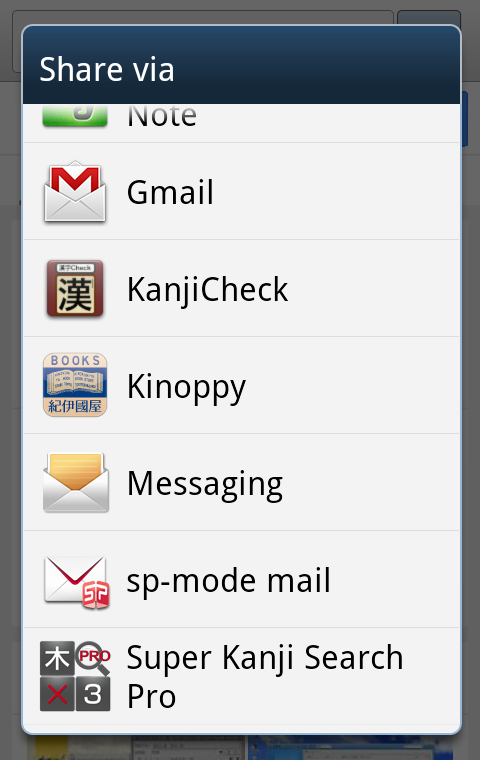 Select "Copy character" in Super Kanji Search and then "paste" the character in the input screen of other apps. You can save the image (graphic image representing character) of the searched character by Super Kanji Search and share the image with other apps. By this method, you can convert all the characters of Super Kanji Search into images, including the unsupported characters by UNICODE (the characters with no character code in Android) such as Kanji in Daikanwa Dictionary, GT font and Tompa. 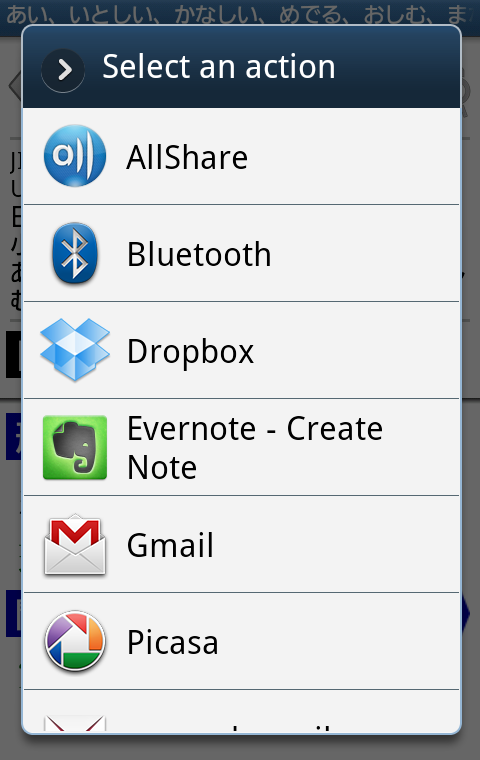 You can share the character image with other image-compliant apps like Dropbox or mailers. Using the sharing function, you can input the character selected by other apps like web browser into Super Kanji Search as the search key. You can easily find the information on unique kanji or hard-to-read kanji.